Last night I was heading to bed as my son came in from work. He stopped and said, “Mom, a lady came in today with a bracelet on.” I stopped on the stairs. It was one of those moments where everything stopped. I listened as he told me the story. 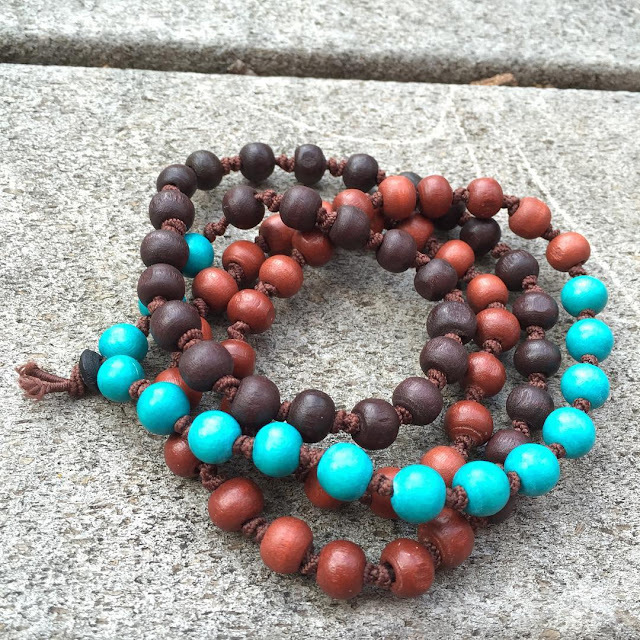 He shared, “ I asked her where she got the bracelet and she said – it is a prayer bracelet. My son died in a car wreck and someone gave it to me and I have not taken it off since.” Then he said, Mom it had 4 beads in a row. She said she had four sons. I know it was one of yours. This is how it happened to me…just as I was feeling trampled by a day of life. When having teenage children have worn your heart down to a place of exhaustion…tiny moments like this can remind me that love is out there. That we are holding each other in this imaginary bubble to heal. I know my friend Lisa went to meet this woman a few months ago. She was a stranger that had lost a child. That is all my friend needed to know. She knew that her broken heart could speak to another. I told her to please take her a bracelet. Now, months later it came back to me..through my son who I sometimes go days without talking to. Usually when he talks to me it is in a low, mumbling fashion that few could decipher. Last night he spoke so clearly. He spoke with intention. Something had touched all of us. May the mystery of life and love wrap you up today. Let your heart be surprised by someone’s simple gesture of love. It can change everything.